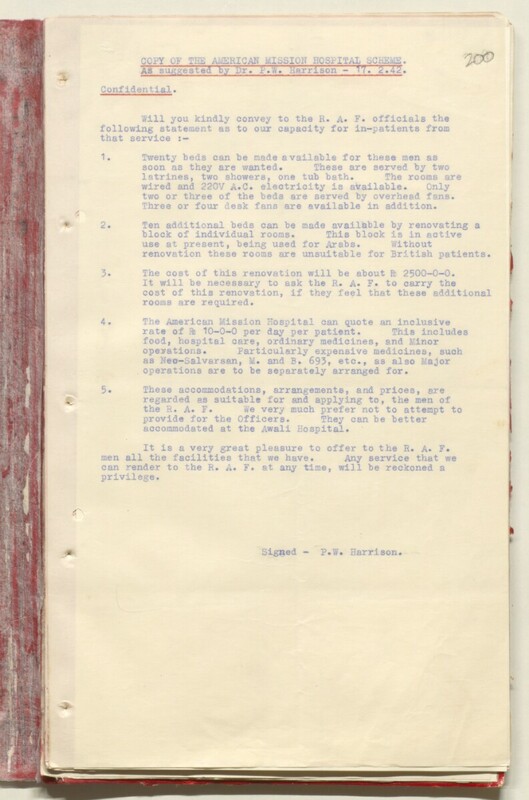 QP Y OF THE AMERICAN MISSION HOSPITAL SCHEME . two or three of the beds are served by overhead fans. Three or four desk fans are available in addition. renovation these rooms are unsuitable for British patients. 3. The cost of this renovation will be about R 2500-0-0.
. operations are to be separately arranged for. accommodated at the Awali Hospital. It is a very great pleasure to offer to the R. A. F.